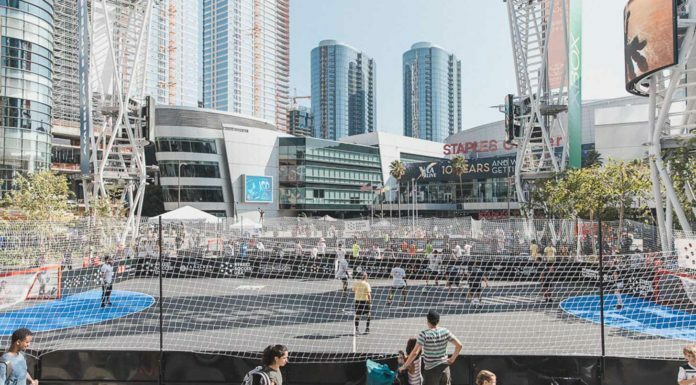 Urban Pitch has partnered with Red Bull to host three “Training Grounds” sessions in preparation for the official Neymar Jr’s Five L.A. qualifiers on April 1. 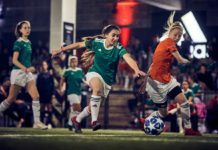 The mini-tournaments will serve as a perfect opportunity for teams planning on competing in the global 5v5 competition to practice their game in the short-sided setting, which has proved notoriously challenging for even the most skilled players. Each participant will receive a Neymar Jr’s Five Training Grounds T-shirt. 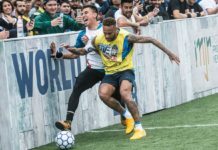 The winning team at any of the three Training Grounds events will earn free registration to compete at the official Neymar Jr’s Five competition in Los Angeles. The L.A. “Training Grounds” session will be March 4 at 1819 Barranca St.; March 11 at Intaktics Indoor Soccer, 1214 254th St; and March 18 at Worthy Park, 17th & Main St., in Huntington Beach. All events will run from 2 to 5 p.m.
Register for the Training Grounds events here. 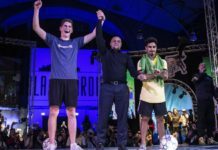 For complete tournament rules visit the Neymar Jr’s Five website.